The self contained strobe unit held up great during the test, it responding well to my style of shooting and did what I needed it to with the three different lighting setups used in studio. Some of the functions that stood out from the get-go were the condensed size, the LCD display and the simple controls on the back of the unit. After firing it up and messing around with the controls for a bit I found it easy to pick up and learn how to operate the unit and make it do what I needed it to. The unit is easy to manage, fits in the palm of your hand and has minimal set up right out of the box. The LCD is a great feature to see all of the settings and understand where the levels are set. Adjustments are made with the function and adjust buttons on the back control panel, with all parameters displayed on the back-lit, LCD screen (320 x 240 pixels). The screen shows the output level of the flash, the color temperature, the output level of the modeling lamp (the f-stop and watts), the modeling lamp setting, the recycle ready status and setting, the slave eye status, the action or color mode selection and the CyberSync channel and frequency selection (I was not using the CyberSync system for this review). The Einstein unit recycles to full power in 1.7 seconds. Once the recycle is complete, the ready state is indicated by both a auditory and visually que. Both settings are adjustable through the unit to customize your shooing style. 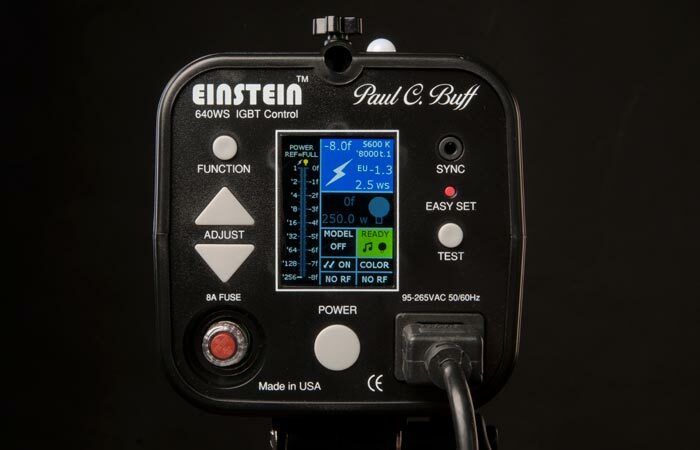 The Einstein includes a flash sensitive built-in slave sync for wireless firing and arrives with a standard 1/8" to PC sync cord for direct camera connection. The unit can also be fired with 3rd party triggers. To be blunt, I loved shooting with this massive umbrella. I use a lot of beauty dish light in my workflow so I have a solid understanding of the type of parabolic light beauty dishes produce. 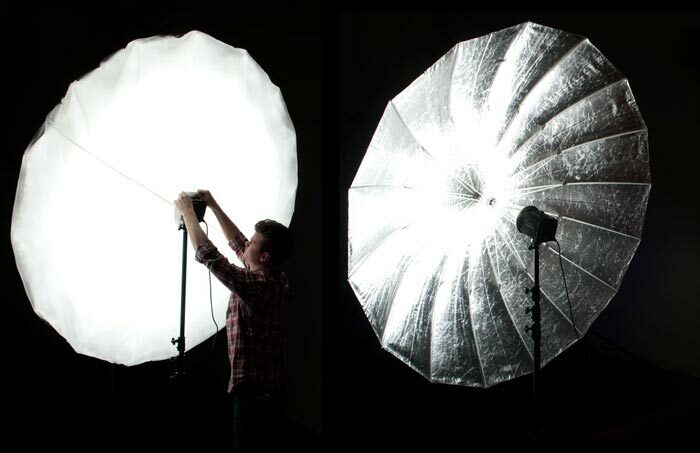 The PLM umbrella created a wider spread of light that I enjoyed working with and could control with ease. The PLM measures out at 86 inches across the arch from tip to tip, 72 inches across the open face great for producing a large amount of light from a single source. The specific model I tested with was the Soft Silver lining. The unit is produced in three variations, White PLM, Soft Silver PLM and Extreme Silver PLM. The parabolic light creates directional lighting that easily can add shape to the subject or can be used as a large soft light source when positioned closer to the subject. During most of the test shooting in studio I used the open faced soft silver side and later on added the difusion panel that wraps around the unit. Even with the large diameter of the umbrella, installing the diffuser is easy to accomplish without an extra set of hands on set. Because of the soft silver lining, the back of the umbrella eliminates spill from the back, reflecting all of the light through the panel onto the subject. I decided to set up and light three different scenarios to get a better idea and understand of what the Einstein 640 and PLM could do. I wanted to look at the different ways the light and umbreala could be used as a one light set up to create three different looks. The first look was with the Einstein and Soft Silver PLM umbrella without the diffusion. The light was placed camera right (about eight feet from subject) and used as a main light. This produced a high contrast light that gave shape to the subject. This set up would help create more of a directional/dramatic light to your subject. The second lighting set up was with the same as the first in terms of gear, the Einstein was set up with no diffusion but the light was closer (3-4 feet from subject.) The light was placed behind camera which allowed me to stand in front of the umbrella without cutting down the amount of light, giving a super soft, clean and airy look. With the size of the umbreala I was able to photograph the talent from head to toe giving a nice even light top to bottom. Third set up I added the diffusion panel to the Einstein and used it as a fill light, mixing with the natural light from the studio. This gave me a wide light source that allowed the talent to rotate and move around without a lot of repositioning the light. 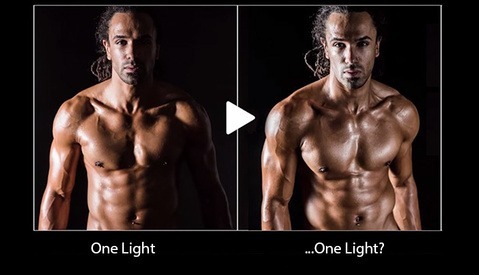 Below are the three different approaches to the light, main to the side, main over camera and as a fill light. 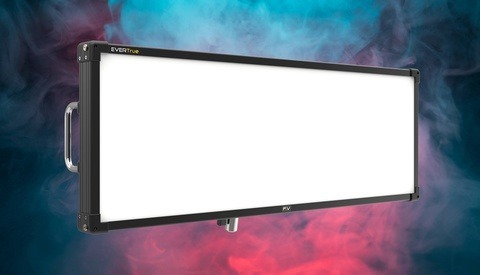 Overall, this is a great unit in a compact design that can work in studio or on-location depending on your needs. 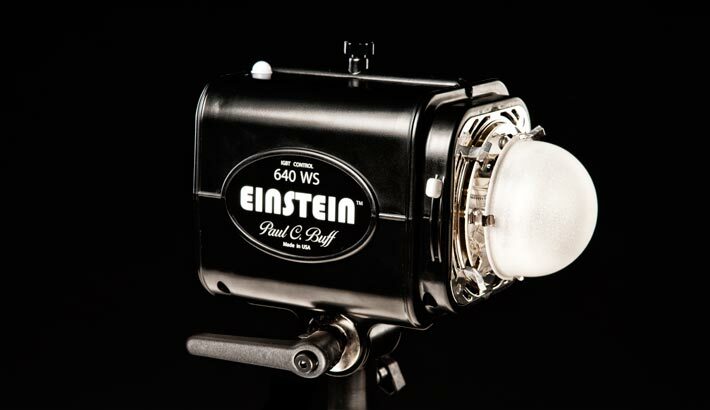 The Einstein E640 retails for $499.95 and the PLM Umbrella used in this test retails for $79.95 through Paul C. Buff. 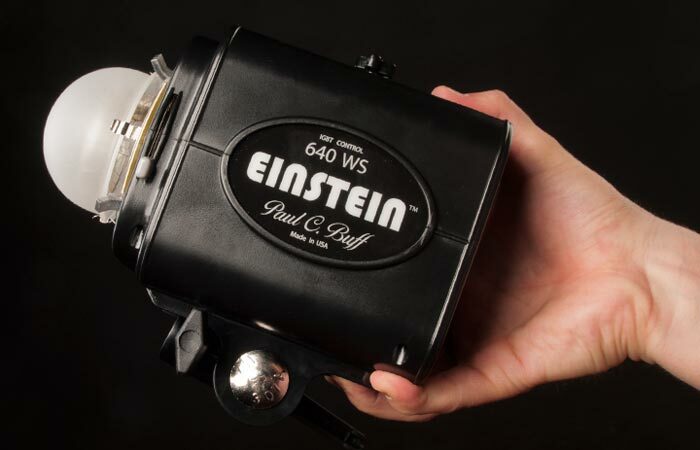 When compared to other strobes sets that can easily cost over $2,500 for two lights, the Einstein might be a great pick for the photographer getting into studio lights or on-location lighting without the big budgets. For the on-location photographer who is looking to get away from AA battery powered flashes, the Einstein paired with the The Vagabond Mini might be a big step up in both amount of light and power consistency along with the rechargeable pack. There are a slough of light modifiers available that work with the Alien Bee's, White Lightnings and the Einstein units. You can read up on all of the options at paulcbuff.com. I wonder what would it cost if someone from US bought and shipped an estimated 12-14 pounds of freight to Sweden? Yeah. Thinking about it. I have some relatives living in the US, that visit here frequently but then there's the issues with taxes and warranty. Guess it would be a better deal If i wanted to buy them for myself and not for my company. Careful though, cause 3 einsteins is the limit you get into a large case that pcb uses. if you get 4, or other stuff (umbrellas, stands, etc..), then they may use 2-3 boxes!.. and thats going to cost you even more for shipping. PCB can't tell you by email how many boxes they are going to ship, nor the size or the weight. I tried to get the info, but no luck. I had 3 einsteins + 3 CSXCV transceivers + 1 Pocket W. MC2 + the CyberCommander + 1 international power cable... shipped from a friend to me in Norway with DHL, and it costed $284.5 usd. (also buyed the vagabonds but had to be sent to sweden to another friend because of dumb norwegian legislation forbidding lithium batteries over 100mah to enter the country by fly, and freaking swedish dhl did something stupid (they used JetPak as an intermediary to forward the package to my friend in Sweden, he got the box.. but I couldn't go to Sweden because of job and family, so after a month or almost 2, I went, there was my box... I was happy.. until I opened!!... an Audi piece that I can't even name!... (it was in german), so I contacted JetPak and Dhl, send that Audi part to them, and after a week received an email (not a phone call! ), telling me that my package was destroyed by equivocation. And the value on the package was 0$ !! &lt;--- careful!.. in fact I had my friend say the real price when shipping, and he did!.. but then when we checked the receipt it said $0 there too!! So the shipping agency did write $0, but did take payment as it was worth the real price... so they earned some black cash right there!!) and... I got no refund! !, cause its their word against my friends. Now thinking of getting 1 vagabond from UK, but still, expensive!.. and this taxes/shipping etc.. are just plain wrong! Now... look at the vagabond &quot;carrying bag&quot;, for a nice $14.95 in the US, against an outrageous £54.99 = $90.27 USD!!!!!!!! whats that all about?? really??? thats 6 times its original price!!! ok.. now in christmas time, we get an 18% discount from the UK store, so it gets £44.99 = $73.86 yeah baby!! Ridiculous!. This happen also with Apple!.. (and Apple do mark up their prices a biiiig way!.. more than any other computer/electronics company) but even Apple haven&#039;t their prices so high in Norway (yes there are high, in fact higher than almost any other country!.. but from $2599 in the US to $3592 in Norway) while PCB is $500 vs $903 (thats almost twice the price!)... is like if Apple had sold the 15&quot; rmbp ($2599 in us) at $4700 in norway.. and they don&#039;t! (oh.. and apple is free shipping, but the PCB einstein still have to be shipped to my country!, so even more money down the sludge! ), and then if repairs needed, have to pay for shipping to UK again... with a apple product it wouldn&#039;t cost me anything extra! Tell me if you find out how! Hi Samuel. I live in Norway and have the same problem. A solution could be to buy them trough the us site and get them delivered to a adress provided from jetcarrier. I've used jetcarrier for years without problems when it comes to ordering "not avaiable outside of us" products. They receive your product and ships it to you directly either trough flightmail og shipping (Your choise. Flight is way to expensive is my experience.). You have your product within a week. Because I live in Norway I pay so much in taxes, that it's more beneficial for me to buy them through Paul C. Buffs european shop.. But jetcarrier is a great choise! Thanks! (Tack!) I will have to look into that! I'd be careful with the Buffs and not try to import them to Europe: They say that the company has great service and support, but also that you really need that service and support because they are not that reliable and get broken quite often. Good luck in Sweden with that. ;-) Here in Europe I'd go with some European brand like Elinchrom D-Lite or Bowens Gemini with a local service net. These have great bang for the bucks, too. I wouldn't mind importing an umbrella, though. i have 3 of these units and have to disagree that you really need the support. i have not had a single issue with any of the units. the support is amazing though! i have had some user error stuff that caused me to break one of the glass domes and modeling light, and they replaced both for free after telling them what happen. Probably they are very very okay, but still: If you break something or need a repair, you're dealing with overseas shipping, a lot of hassle with your country's customs office, taxes, waiting times, and you can add 50 USD of shipping costs to a broken glass dome worth 5 dollars, or pay 100 USD to send your unit in and back for a repair. The Einstein is quite unique because of it's short flash duration, but if you don't absolutely need that, there are much better options to buy here in Europe. well yeah bro, the article was written by folks in america, mostly for readers in America. If you choose to fly the equipment across the globe, that's fine but there of course going to be additional costs for that. That goes for any product you ship worldwide. Correct. My comment was just a hint to the guys who are thinking about doing an import of Einsteins to Sweden or Norway. I didn't mean to bash the Buff products. In your first reply you say "because they are not that reliable and get broken quite often"
now here you say "Probably they are very very okay"
Can you expand on your flip floppery? I've heard the exact opposite. Mine have been nothing but amazing. The sad thing is that everything from Paul C Buff is soooooo expensive in Europe..
Wow that is a huge jump in cost. Read this to see why they cost so much for international orders. They're made and manufactured in the US, so its likely an issue of export taxes and such. We, many Europeans really not want too much just able to buy again on Paul C. Buff USA. That's it. Import VAT + tollage here in Germany would be ~23%, not 80%. It could be the Adobe tax though. Not just that...PCB in the US is factory direct. In Europe, they added a layer of distribution, so that distributor has warehousing costs, people costs, etc. I own two of them and absolutely love em. Great for studio and location shooting. I have three Einsteins and I absolutely love them. For stopping action, you cannot touch what these things can do for under $5k (each head!) with other brands. Absolutely no regrets from these babies. I'm struggling to see how a honest review can have no negatives to it. have you ever used Paul Buff/Alien Bees lights? I have, there are always negatives to products... For instance Einsteins build quality is fairly poor, also the LCD is nearly impossible to read in direct sun. I'm not saying Einsteins are bad but they do have negatives, like all other products. I can easily say that the quality of the light and ease of use of the Einsteins make them the clear winner overall in the bang for your buck dept. Coupled with the Vagabond Mini and PLM, the combination is an amazing set of tools, and an amazing deal. I sold my Elinchrom kit, bought an Einstein kit, and haven't looked back.